Berlin. Our capital. Every year I come here at least two or three times. The people, the atmosphere and all the other stuff – there is something special about all this. My favourite Food Spots for you. Here we go. An absolute insider tip for anyone who likes vegan cuisine or likes to try something new. 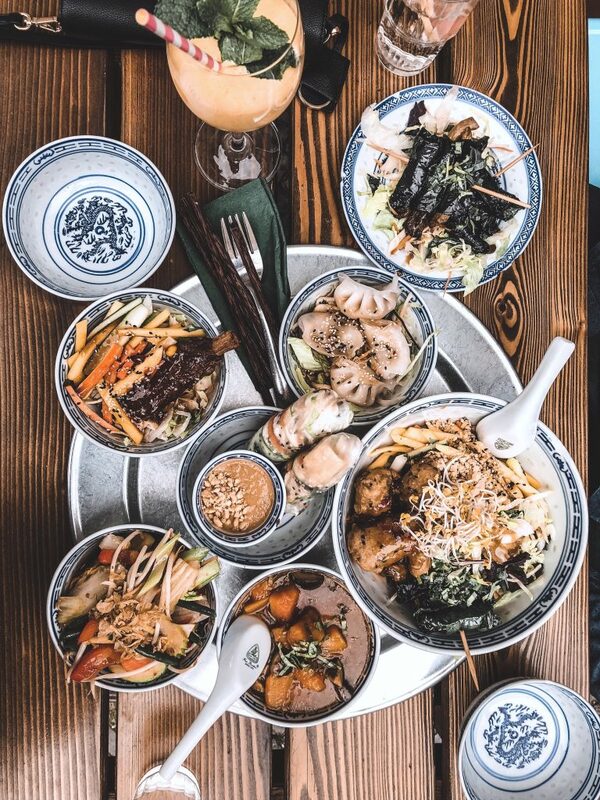 The Bowl plays with contradictions and creates a culinary world that goes its own way. You shouldn’t miss breakfast or lunch here. Clean Eating. Delicious and sustainable. My tip: Asia Bowl + Falafel and a glass of Prosecco with homemade syrup. 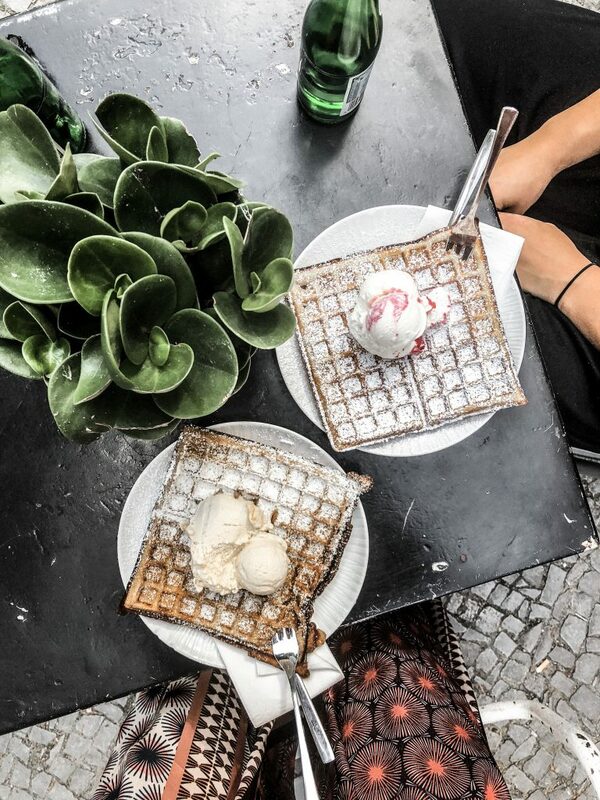 The two related shops ‘Kauf Dich Glücklich’ and ‘Glücklich am Park’ in Berlin-Prenzlauer Berg shine with delicious waffles, crêpes, homemade ice cream/sorbet and fantastic coffee. Really everything is homemade here, mostly from regional products, of course the dough, but also all sauces and toppings. A new taste experience for me. Not the standard Asian, as usual, but many new compositions with different tastes. Freshly cooked porridge, combined with all kinds of toppings – according to taste. The oat dish is freshly brewed every morning, from Franconian organic oats and ground with its own grain mill. The whole then swells up in hot water, only salt is added. Toppings make the difference: dried fruit, fresh bananas, a good portion of nuts or applesauce are all available. For the savoury mind there are cereal-based salads with quinoa, for the sweet tooth there are homemade banana breads, gluten-free brownies and oat cookies. Delicious curries, summer rolls with tofu, scented rice + cinnamon coconut sauce and many other vegan and vegetarian dishes. The Rice Cake is also highly recommended. A type of glutinous ice cream that has a filling (banana or sweet potato) and is then steamed in a banana leaf. So tasty. Traditional Vietnamese cuisine with a special and individual touch. Definitely worth a visit. We’ll be back. Are there any people who don’t like donuts? Now I’ve talked enough about delicious food, enjoy it and have a great evening.